It certainly was cold up your way, Lisa 🙂 It seemed bad enough down in Melbourne, but it warms up quickly enough here. 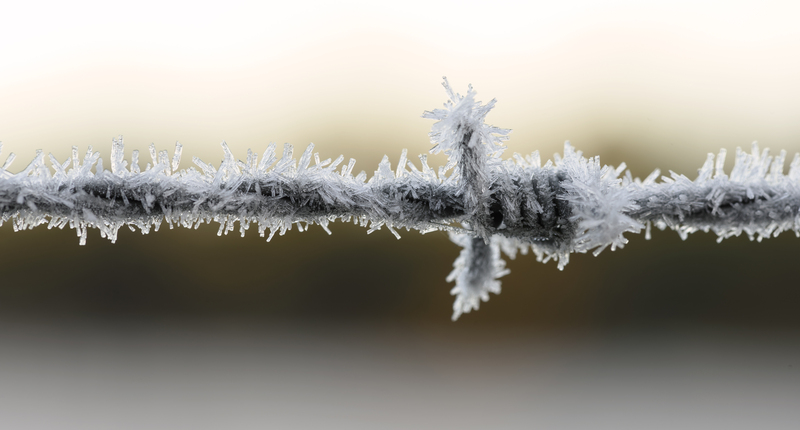 Love the image of the frost on the barbed wire, especially with the dark background revealing the small details. This is one of my favorite finds in the winter. Barbed wire AND frost. Nicely captured!